When analyzing literature, students learn to read between the lines and note how various writing elements the author used serve a particular purpose. A successful essay identifies the author’s literary choices and discusses their implications. An alternative way of writing a literary analysis is by analyzing the piece from your own point of view. Such a literary analysis should contain a thesis statement with your argument. Instead of simply explaining the author’s intentions, analyze the literary piece from your perspective by describing the use of the techniques identified below. 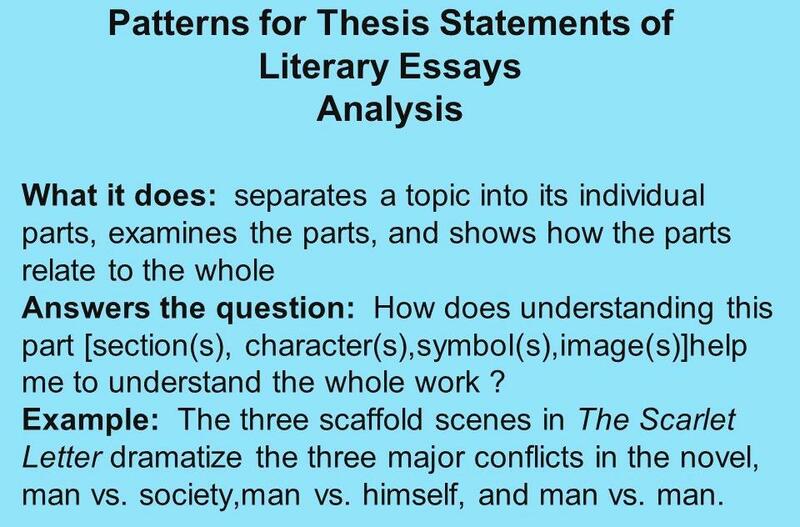 Many students ask ‘What is the purpose of a literary analysis essay?’ In a nutshell, it is to provide a thorough and original explanation of the assigned text. Whichever position you decide to take, be sure to support it with textual evidence. How to Analyze Literature like a Professional Critic? ‘A Rose for Emily’ by W. Faulkner depicts the fall of the Old South. Strange Case of Dr. Jekyll and Mr. Hyde is an allegory to a person’s struggle to control their natural instincts. District 9 depicts Apartheid in South Africa. The dangers of prejudices and racism are discussed in X Men. Harry Potter series also touches on the dangers of chauvinism and ‘purity’ of race. Protagonist – a central character in a story. Antagonist – a character opposing the principal character. Minor characters – mentioning less important character is also an important detail in literature because they enrich the story and help the protagonist evolve. Static / dynamic characters – literary characters can either develop or remain the same throughout the story, thus such a classification. Characterization is another term that can make your essay look more professional. Pay attention to the choices the author takes to depict characters’ personalities, including their appearance, actions, motives, speech, etc. How to analyze a story in an essay? Try to identify any patterns of behavior and connections between different characters. Answer the questions: which function does this character perform? What is his/her history? What does the author tell the reader? What is left unsaid? How do the characters describe themselves and others? You should also be able to identify and interpret connotations (implications) of the words. Connotation is opposed to denotation – the meaning of the word found in a dictionary. Diction is yet another technique you can describe in your essay. The term refers to the author’s word choice, which determines and/or accentuates the central theme of a literary piece. This is typically found in poems, for example, the use of specific sounds, rhythm, peculiar letters, etc. helps poets convey their emotions and intentions more accurately. Plot – this is the way the events unfold in a story or poem. Conflict – the relation between opposing characters / situations / events, etc. Exposition – all background information in a literary piece. Raising action – a series of events that happen as the story approaches the central conflict. It is usually followed by a crisis, which plays a decisive role in the resolution. Resolution – the ending of the story. Point of view – this is how the author chooses to narrate the story. Usually, it depends on the purpose of the literary work. If there is a narrator in the story, he/she might not be taking part in the events. If there is a first-person narrative, the narrator might be a participant but his knowledge of the story exposition is limited. Finally, the story might have a third-person narration, when the narrator is not identified. This is typical for stories where the author wants to remain objective and impartial. Metaphors. Writers frequently use metaphors to refer to one thing / object/ person while mentioning something else. For example: She was the biggest star in the room. Similes help create a more detailed image of a character / object / situation in a story. This figure of speech is used with the words ‘like’ and ‘as’: Mary was angry like a wolf. An exaggeration in literature is called hyperbole: There is a million and one thing to do this week. It is common for people to endow non-human objects with human traits but in literary terms it is called personification: America will join forces with China. Foot – the way stressed and unstressed syllables are arranged in a line to establish certain rhythm. Spondee – two stressed syllables in a row. It helps make a verse less monotonous. Trochee ‒ a foot that contains a stressed syllables that is followed by the unstressed one. Anapest – a metrical foot consists of two unstressed syllables and one stressed syllable. Typical for long poems. If you measure the rhythmic structure of a poem, you are analyzing its meter. When analyzing elements of literature, pay attention to tone – the attitude towards the topic. It can be pessimistic, critical, hopeful, etc. The aforementioned elements help create the appropriate tone and produce a desired effect on a reader.